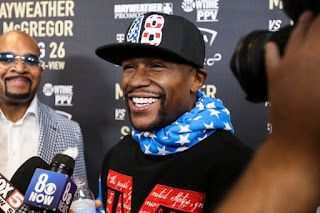 Former five division world champion Floyd Mayweather Jr. (50-0, 27 KOs) was the overall leader of the Forbes' annual list of richest celebrities - coming in well above actor George Clooney who was seated in the number two spot. 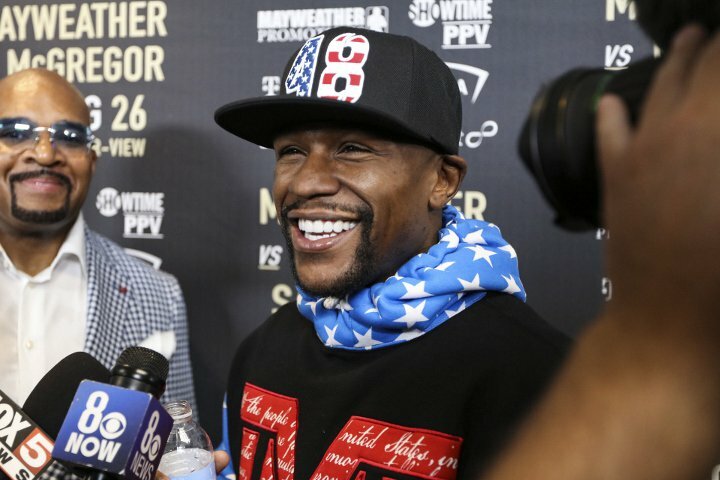 Mayweather hauled in $285 million pre-tax in the past year – almost $50 million more than Clooney, who landed on the list in part to the tequila company he co-founded with pal Rande Gerber. Reality star Kylie Jenner came in third with an estimated $166.5 million. Sean ‘Diddy’ Combs and Beyonce, who topped the Celebrity 100 last year, failed to make it back into the top 10 in 2018. Mayweather retired from boxing in August 2017, after snapping a two-year layoff to stop UFC superstar Conor McGregor in the tenth round of their showdown at the T-Mobile Arena in Las Vegas. Their event was the second most lucrative fight card in history. Nevada State Athletic Commission announced the live gate for the event was $55,414,865.79 from 13,094 tickets sold and 137 complimentary tickets - which fell short of the 2015 mega-fight, Mayweather vs. Pacquiao, which grossed $72,198,500 from a paid attendance of 16,219. Showtime officially announced 4.3 million domestic pay-per-view buys, making it the 2nd highest buyrate in pay-per-view history. Mayweather-Pacquiao holds the record with 4.6 million buys.